Tamara "Firstkeeper" Bakhlycheva joined. Here's a snapshot of her and her husband Vadim from this week's Sketch Squat. So focused! 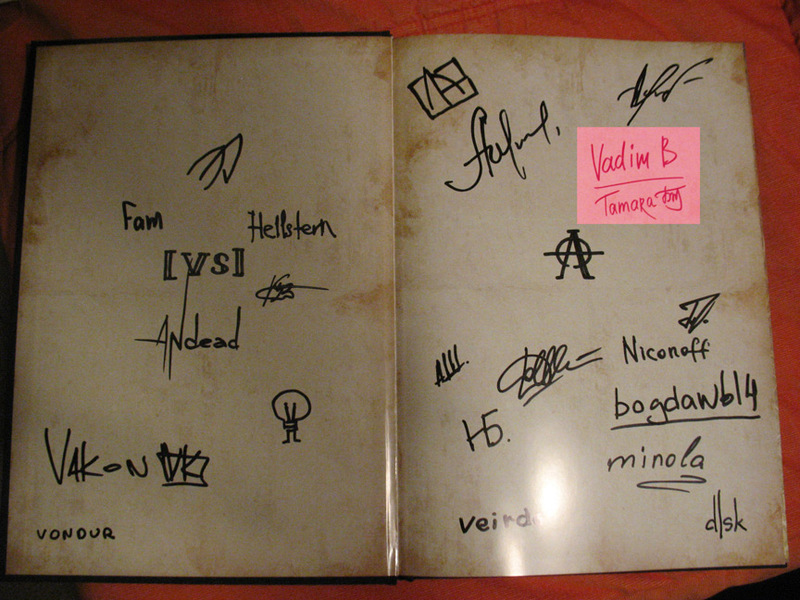 They filled in some missing gaps in my Allods art book.